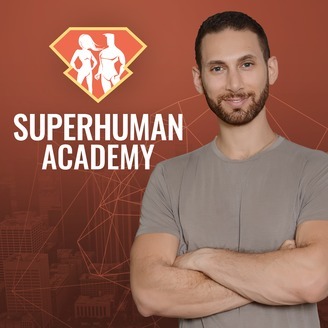 Voted Best Podcast Episode of 2016 by ProductHunt, The Becoming SuperHuman Podcast, hosted by lifehacker & accelerated learning expert Jonathan Levi interviews extraordinary people such as Gretchen Rubin, Ben Greenfield, Robb Wolf, Jimmy Moore, Abel James, Rory Vaden, Hal Elrod, Benny Lewis, and many more to bring you the skills, tips, and tricks to overcome the impossible. 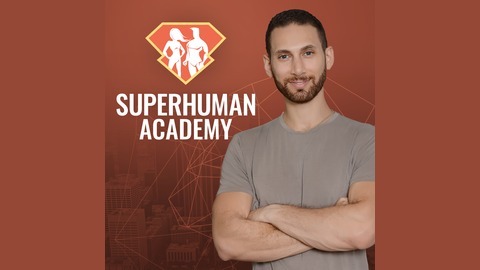 From physical fitness to learning and memory, we seek to understand optimal performance and superhuman abilities through engaging conversations and interviews with some of the world's most interesting people. Welcome to a really special and deeply inspiring episode of the show. Today we are rejoined by one of the most popular guests we've ever had on the show - the amazing and astounding Hal Elrod. You probably know Hal because he is the author of the incredible series of books called The Miracle Morning, which is sold all over the world in many different languages and many different variants. Hal has recently celebrated selling over a million copies of that book, and I personally can tell you it is one of the episodes and books that people most tell me changed their lives over the 220+ episodes we've done on the show. What many people don't know is that, after writing that book, Hal once again faced another near-death experience. He was diagnosed with a very rare and very aggressive form of cancer, which he has managed to, knock on wood, survive and beat against all odds, once again defying death. He has recently published a new book called The Miracle Equation, talking about how he did this, and how he reached this level of tenacity, ambition, faith, and effort in his life. Every time I talk to Hal and hear him speak, either in Genius Network meetings or when hanging out in a group of people, I'm always blown away by his energy, his enthusiasm, his passion, and his wisdom - and this is how I feel about this episode as well! I know you folks are going to get a lot from this episode, as I did too!